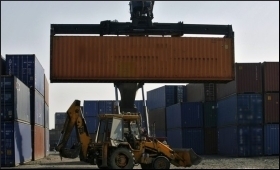 Exporters' association FIEO has urged the government to take necessary steps to push the export sector. Speaking recently, FIEO President Ganesh Kumar Gupta reiterated his demand for urgent and immediate support including the issue of augmenting the flow of credit, higher tax deduction for R&D, outright exemption from GST, Online ITC refund, interest equalization support to agri exports, etc. He also mentioned about demands like benefits on sales to foreign tourists and exemption from IGST under Advance Authorization Scheme with retrospective effect. Besides these, budgetary support for marketing and exports related infrastructure are some of the other key issues, which needs to be looked into immediately. Gupta added that exporters have managed to do well despite increasing protectionism, tough global conditions and constraints on the domestic front. FIEO Chief added that economies across Asia specially China and South East Asian nations have been showing signs of sluggishness with contraction in manufacturing due to slowdown in the global trade and fragile world economy. Almost all labour-intensive sectors of exports during the month have moved into the negative territory including gems & jewellery, leather & leather products, plantation, handicrafts, carpets, jute manufacturing including floor covering, marine products etc. besides Petroleum, which also showed negative growth further pulling down the overall exports for the month, opined Mr Gupta. Besides imports of transport equipment and electronic goods were also down. All these sector of imports have also pulled down trade deficit to a low of about one and half years, said Ganesh Kumar Gupta.